The ban on plastic bags for large stores here in town failed to pass at the Town Meeting last night. It wasn't time. The intentions of the two Tantasqua High School students that first brought the idea of a ban to the attention of the town were admirable. It showed great deal of thought, responsibility, and a desire to do good for their community. It just wasn't the time. As mentioned in a previous post, both paper and plastic have their pitfalls, but to ban one, and to expect the Board of Health to monitor compliance is asking for a lot at this time. That would require more man hours, and funding. I'm not sure that banning the bags at only certain stores, and not at others, would have been fair. I realize that small stores survive on a smaller margin and operating changes can be felt far easier than with the large stores, but if the ban was to go into effect, maybe it could have included the smaller stores at a later date. No matter. It didn't pass. I have been buying those cloth sacks to use when I do my Wal*Mart run, or grocery shopping. We bought them not so much to keep the plastic bags out of our lives, since every one of those bags that enters our home will have additional duties to perform before they are tossed away. We bought them because they hold more, are strong as all get out, and I won't have an item tear the bag and let loose a landslide of produce onto the parking lot. Cracked spaghetti sauce jars, run away cans of soda, and veggies that hide under the other cars in the parking lot. I've cursed those bags for years. So, no more double bagging, just fill that cloth sucker to the top, please. And, since I do use the plastic bags around the house for all sorts of things like lining the waste baskets, disposing small messes, and packing off left overs for company, I will occasionally leave my cloth sacks at home, and restock on those plastic ones. I realize that my actions won't save the environment. My reasons are to change a personal habit, and make things a bit easier for me. Self serving reasons, I know, but when others also do it for reasons of their own, it can begin to have some impact. 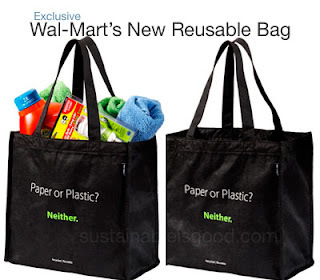 So, I guess an impact could still be made, eventually, as more folks begin to use the reusable bags, or the "It's-all-about-me-bags", as time goes on. 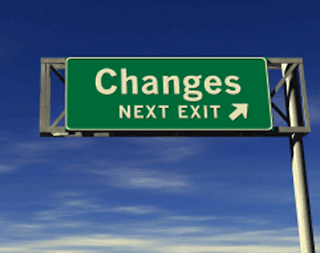 Change takes time, and can be done well, and faster, when the benefits directly, and immediately affect us. Yep. It's all about me this time. 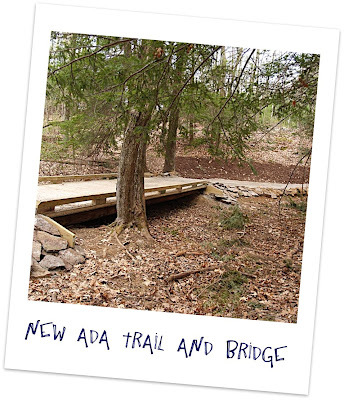 On Sunday morning Mary and I walked the new ADA trail constructed last weekend at the Heins Property off Leadmine Road. The trail was one of several either built, or improved during the day by volunteers from surrounding communities. Although, not yet completed, this particular trail is wonderful! Parking is across the road from the Heins Property at the trail head for Leadmine Mountain Land. The town purchased the Leadmine Mountain Land in a separate purchase last year. The parking has been enlarged, and has room to grow depending on the need. We walked down to the trail from the road. On the north side of the road they are still building the trail. A culvert and gravel are in place where the trail will come to Leadmine Road. On the other side of the road the trail continues as seen in the photograph above. The trail is totally cleared of debris, and stones and roots that would be a tripping hazard are in the process of being rem oved. We were both amazed at how well the trails cleaned up. We walked along the trail, which ran parallel to the road for a ways before it turned to the right and over a ridge. A great deal of work had been done to insure that the trails would have adequate drainage. Rip-rap stones have been placed in gullies to offset erosion, and large flat field stones were placed along the trail edges to firm up the base. A wooden bridge was built over a dry wash area that does become wet at times. The thought, planning and work that went into this project is remarkable, and it's not done yet. We both were impressed, as will you be when you visit the property. The trail led to the top of a rise. Stone dust had been put down till almost the top of the rise. We wandered along the trails at the top. There were a few that led off in different directions. After a while we found ourselves in the middle of a meadow. The view was great. On the crest of the hill, far to the north of us was a line of ancient trees and a stone wall. The trees and wall lined what was once the Worcester-Stafford Turnpike. Built in the early 1800's, the turnpike ran from Worcester to Stafford Connecticut. Charlton Street is a portion of the old road. 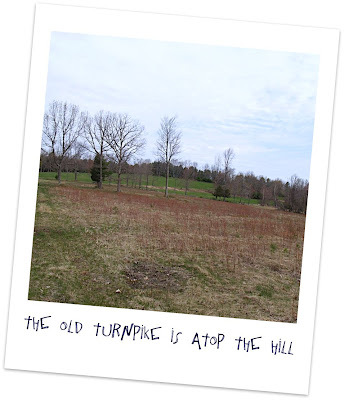 The remnants of the old turnpike at the top of hill are as if time has stood still. The old turnpike is in fantastic condition. Soon, trail markers will be painted along the trails, and a kiosk is ready for installation by the volunteers. According to Tom Chamberlain, once the trail routes are final a GPS/ortho photo trail map will be available of the property. 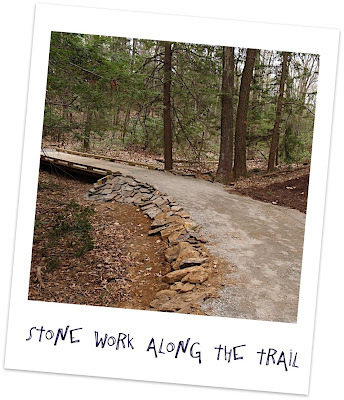 All of the work in building the trails, the bridge, and the stonework was done by volunteers. Much of the equipment and stone dust was donated. This project took a great deal of planning, and judging from the great work done thus far, it was well thought out. The workmanship by the volunteers is first rate. The next work party is this coming Thursday, May 1 at 6:30 PM till s unset. The project still needs volunteers and equipment. Tools needed are hard steel rakes, loppers, Axe, wheelbarrows and shovels. Some upcoming Saturdays are in the works for work parties as well. If you are able to donate some time, or equipment, please contact Tom Chamberland. This property already is a jewel. It is evidence of just what can be accomplished with great leadership, planning, and a lot of hard work. Last December I wrote about our wanting to adopt a kitten, and all the hoops one must jump through in order to do so nowadays. Today, I want to announce that after five months, we finally found two kittens at a farm in Spencer. No promises not to de-claw, or de-tail, not that we would anyway. No promises to update the shelter with the kittens medical records every year. No promises to keep the kittens at the same address for the rest of their natural lives. They were free. And, most importantly, they are ours. Just a few words about bags. Paper is a renewal resource. It also takes more energy for a tree to become a paper bag, to transport it, and to recycle it that it does to do the same with a plastic bag. Oil is not a renewable resource. Plastic bags are made from oil, but are 2/3 thinner than they were in 1977, and there are actually biodegradable plastic bags on the market. Plastic bags are cheaper to recycle than paper. They are also cheaper to transport. That all being said, it would make sense to assume that plastic would be a better choice. 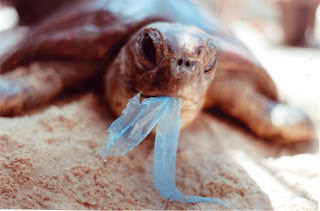 Animals die from plastic bags. Plastic bags don't go away like paper does in the environment. So, even though plastic bags are cheaper to manufacture, use, and recycle, and paper is more costly, uses more energy to produce, and is more costly to recycle there is no logical choice between the two. The only responsible thing to do would be to buy several of those cloth sacks. That would mean remembering to bring with you when you shopped. Keeping one handy in each car for those little store runs, and putting it back after you unloaded it. They don't hold a lot, so you will need five to ten of them. For those of us that are memory challenged, and are lucky enough to remember to take the groceries out of the store to our cars this could be an issue, but well worth the effort in the long run. There are so many beautiful areas in town that are hidden by overgrowth, and brush. It would be great if these areas could be designated scenic views, and cleaned up. A small turnout could be cleared and some gravel put down. Nothing fancy. A nice sign, maybe a picnic table in some spots. The view would be free. A brochure could be made listing all the areas and with a little about each one written inside with a map of where the other sites are. Area businesses could place ads inside the brochure, or even ADOPT a Scenic Site. Sure, some sites would require more work than others to make them scenic and safe, but others would not need as much work, By offering an Adoption plan, the business, or individual adopting the site would make a contribution, and their name would be posted at the site. Some of the costs could be dealt with in this manner. If we did three sites each year, and designed it so that one of the three would be a place needing more work than the others, we could pace ourselves. In the meantime, what special places in town would we designate? Think about it. Keep in mind they don't have to be on the main roads. There are many back roads, country lanes, dirt roads in town that offer wonderful views. If you have a suggestion, send an email to aroundsturbridge@gmail.com. One more thing, if you think that this idea could fly, then talk it up and write your selectman. You can even use the little envelope icon at the bottom of this post to send this to others you know that may have an interest. I was talking to a friend today, and some how we got on the subject of men and their toys. The Tonka Syndrome I like to call it. Toys are a good thing. Ladies, let me repeat that. Toys are a good thing. No matter what your mans age, if he is still playing that is a good thing. It is when the play stops that you need to worry. A grown ups toys could be any number of neat things. A supped up lawn tractor, or a 1993 pimped out Land Rover are great toys. Power tools are also cool. All of them. Every blessed tool that you can plug in, or run on an 18 volt battery, is great. Doesn't matter if you don't know what the heck it is for, or if you don't have a reason to own it. The thing is, you have it. Just in case you need to rout a counter top, or drill some concrete, or plane some exotic hardwoods. No need to worry, mate, you're all set. Sporting goods are fantastic toys. Boats are good. Fishing boats, little john boats, canoes, kayaks, ski boats, personal watercraft, pontoon boats, cabin cruisers. Yachts are great. Fishing gear is essential. Fly fishing, salt water, fresh water and surf fishing equipment are toys that never grow old. Hunting dogs, a 12 gauge, and some deer scent can take care of a lot of cravings come fall. See, it doesn't matter just what the toy is, it is the actual act of play that is important. 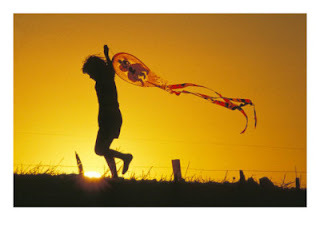 Play is the heads way to decompress, to let go of all those things that clutter our thoughts and everyday actions. It is necessary. A requirement to keep ourselves free from cynicism. Children know this. No one teaches a child how to play. They discover the benefits themselves. No matter if you empty the ailes of Toys R Us on them, or just give them some pots and wooden spoons on the kitchen floor, they will still play. The more play we encourage, the more we inspire them to use their imagination, and the less rambunctious they are. Like anything else, it must be inspired early on. Soon play becomes the outlet it is supposed to be. Playing alone is fine. Sitting on the carpet with a bunch of half dressed Barbies with mismatched shoes, or dozens of plastic soldiers marching across the coffee table will keep a child's head head active for hours. The results can be seen, and felt by those around them. When I was nine my mother died suddenly a week to the day before the President was shot. It was a difficult time for us. During the days, and weeks that followed, the relatives came to our house to help my step-dad sort things out. Clean things out. It was during this time that many of the toys that I had grown to love and rely on disappeared. I don't think it was ever a vindictive thing, just a helpful "loose the clutter" thing. Problem was, I wasn't done playing. For many years I thought of those lost companions. Looking back, I know therapy would have been a good thing. They were like friends that had moved away from the neighborhood and I had never been given the opportunity to say goodbye. In 1998 I discovered Ebay. I plugged in some search parameters and found the fire truck that I missed the most. A 1954 Tonka Fire Truck. All metal with real rubber hoses, and a working fire hydrant that you could actually connect to a garden hose to make the hoses spray water. I never knew who made that truck, all I remember was that I loved it, and it was gone. I bid on that firetruck, and won. Soon, all the toys that could remember having as a child I found, and bid on. I didn't buy them all, but very close to it. Soon the curio cabinet in my family room was filled with bits of my childhood. As I took each new purchase from the box, and unwrapped the bubble wrap, my hands would hold it as they had years ago. That familiar feeling of just how that toy felt, where to move my fingers came flooding back and shot through the nerves to my head. Each time it happened, a sense of relief came over me. An unseen weight was lifted. Sounds silly. I realize that, but once I had accumulated the dozens of toys that most stood out in my head, and they were mine, it was if I could have a real do-over. I could start where I left off. All I needed to do was to finish the play. How this helped the head of a middle aged man is beyond me, but it did. Immensely. I was finally able to put those feelings away, and after I had experienced the toys again, they were placed prominently in the curio--my toy box. Despite not having those special toys, I never did stop playing. I found new things, new ways to occupy myself, to free my head from those everyday things that clog up ones thoughts. It worked when I needed it too, and still does today. Always on an adventure, goofing off, and not taking myself, or life too seriously, that the way I was, and still am. Play is important. Whether it be fishing, four wheeling, scrap booking, gardening, or even tossing a blanket over the dining room chairs to build a fort for you and your kids. If you enjoy it, do it. If you consider yourself too much of a grown up to do it, then get over it. Find something. Once your partner sees the changes that occur subtlety, they will encourage you, and may even join you. Even at our age, a playmate is still one of the best things we can have. Someone to share times away from bills, challenges, problems with the neighbors, politics, and work. Grab that playmate, and go for a hike, or crack open the Yahtzee on a rainy Sunday. You will be amazed how you feel afterwards. One word of caution. Play is addicting. It is supposed to be, but it is an addiction that will never require 12 steps to walk away from. I'm all about curb appeal. For houses it is the little things in the yard and around the house that set it off from the crowd. The same holds true for a town. Small things that a passerby sees that leaves a good impression, and shows that the people that live here care about how they look. There are several areas like this in town. The past couple of years has seen the adoption of small scenic areas along the side of the road by local companies. These companies, Pioneer Oil and Sturbridge Pottery, have planted flowers and shrubs around the intersection of routes 131 and 20. A lot of planning, and labor went into each one of these projects, and they make the area a lot more attractive. They show that people care. There are other things that can be done to increase the curb appeal of our town. One thing I know would be great is to remove all the trees blocking the view of Cedar Lake from route 20. They are a an unattractive lot of trees, and they do little more than block a wonderful view of the lake as it comes up against route 20. Another place that would be wonderful to thin out and create a long lost view would be the small woods beside route 20 on the left before Holland Road. This area, across from the Blackington Building and a bit further west, is high above the Old Mill Pond. The Quinebaug River flows into this pond and there is a dam at the edge of the pond. The view of the area from the road at this time of year when the leaves have yet to block the view is one of the nicest in town. The land is privately owned, but maybe with some discussion the owner and the town could work out a plan. It would be a shame to continue to block out that view. There are many areas in town that deserve the same attention. Small turn outs off the road for people to pull over and admire the view. Places where the overgrowth has long taken over the view and needs cutting back. I know we have a lot on our plates at this time. Money is tight, but many things can be done with volunteers, too. Just some thoughts. After all, there is no escaping Spring Cleaning. STURBRIDGE - Creating scenic drives, expanding links between campgrounds and tourist attractions and encouraging cooperation between towns are among the recommendations in a study released yesterday on how to build on the tourism trade in the south central part of the state. There are certain things that show us that life exists. In people, a pulse is one of those things. It's a good thing to have. In a town, it is the human connection. Greeting neighbors, waving to people we know out walking their dogs, meeting folks for dinner, conversations with a stranger at the super market are all things that verify life exists outside our home, or our cars. Even little activities we mostly overlook show us that life does exist. The guy painting his house, the woman mowing the lawn, a lineman servicing a wire on a pole all are indicators that the little part of the world we inhabit is alive, and keepin' on. For life , there has to be continuity. Someone to replace us when we are gone. This where children come in. They are the continuance of life. The insurance policy that what we do here now will carry on, and hopefully made better. Each generation hopes for that. As we get older, we look around us at the children, and, for the most part, feel comfortable that things will be well taken care of. Of course there are those children that make us just shake our heads when we see them and wonder how the heck the human race will ever survive. I was one of those children. In fact, I believe I still am. Yes, children are our future. Cliche, I know, but true. My question is, where are the children? I know they live close by, there are schools for them, and each morning I see the yellow buses. When they are not at school or walking beside the carriage at Wal*Mart, where are they? There was time when the sound of kids running around the neighborhood, riding their bikes, roller skating, playing games would echo off the houses from early in the morning till "the street lights came on". There would be small groups walking down the sidewalk on the way to shoot hoops. Bicycles would be leaning against , or lying in front of the toy store. We send them to school in the morning, and arrange for them to stay inside after school until we get home from work. We arrange a ride for them to dance class or home from basketball practice. We keep them close, within arms reach. We shelter them from the time they are born. We guard them from predators that lurk in our towns. We protect them. That is our job. When they are infants we assign them music to listen to. Beethoven, Bach, and more Brahms than a lullaby. When they are old enough to focus, we teach them sign language, because we can't wait to "hear" what is on their little minds. but, mostly we want to tell them what is on our minds. The earlier the better. Society has shown us that we must be vigilant. We must be constantly aware. As a result, our children come home from school to mostly empty houses, and reach out. They go online, they text, they may even use a telephone. They are reaching for voices that they don't hear at home. They gossip, and form gangs online at social web sites. They post photos and videos of things we can never imagine. Some actually do homework. On weekends they are scheduled for karate at 8:30 AM,and soccer practice at 11:00. Their friends mother will pick up a bunch of them around noon, swing by Wendy's, grab some lunch, and then it's off to their house to play video games till 2 or 3:00. Maybe watch a DVD. Our children mostly sit. And, when they aren't sitting, they will dance, run, skate board, play ball, and then they sit again, and wait till the next time they are scheduled to move in safety. Our children have started to tip the scales. Their energy levels drop lower than the Dow. They look for excitement without expending a great deal of effort, so they move their thumbs in seizure like patterns and "talk" to friends on their cell phone. Without moving more than a few phalanges, they keep in touch with their world. This is not the way life was meant to be. This is not the fault of the children. Since they were six months old we fell victim to arranging play dates, and play groups for them. Artificial environments that often stick children in a place with others they are forced to interact with. Socialization is forced, not taught. Disappointment flows from a parents lips when the baby won't play nice. Seldom are walks to the playground taken. 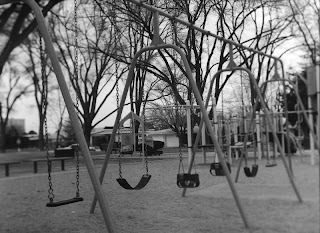 The swings are mostly empty. The laughing voices are all but silent there now. This training is coming back to haunt us. Our children were taught by example how not to be self supportive, or reliant. Their earliest friends were chosen. Their activities selected. They escaped into a controllable world of texting and the Internet when they weren't at karate class. When they leave high school, and go on with their lives, they soon begin to trickle back home. Once, twice, a half dozen or so times before they are thirty they end up back home. It's safe there. It's organized there. They are thirty three years old, single and living in the same room they grew up in. Strawberry Shortcake is still on the shelf. A bucket of Lego's still beside the bed. In our valiant attempt to keep our children safe, and to fast forward their brains, we have made them dependant on us for the duration. Many have adapted well. Relying on nature rather than nurture. Not every child has succumbed to the bubble wrap we have clothed them in. I don't think there is a solution. Not yet anyway. I do know that I miss the giggles and laughter on the playground, seeing kids walking down the street, fishing along the river, and doing most anything not orchestrated by a grownup. I miss seeing their freedom of play. Their freedom of interaction. So, until we figure out just how to set them free again, continue to keep them safe, keep them well, and teach them the very best of what you know. Memories are meant to be kept forever, especially those of our children. Regrets are not. I can almost hear you now. "Whoa. Where the hell am I?" Take a deep breath. It's OK. This is still Thinking Out Loud. Really. It's Spring, so it's time for a little housekeeping. Time to brighten the place up a tad. One of the umpteen things I've learned over time is to keep things simple. I learned it, but didn't practice it well. The previous design of this blog was a bit cluttered, and dark. I chose it for some good reasons at the time, but this is better. Clean. Bright. A clean slate is a good place to be now that the elections are over. Speaking of which, congratulations to Mary Blanchard and Scott Garieri for winning in the Selectmen's race. I wish you both the best of luck, and, even more, nerves of steel. 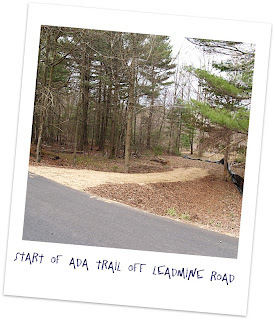 "Saturday April 19th, is Trail Day on Heins Property. If you are coming and want to be a crew leader/member please respond, first come, first served. Best slots fill up early! If you have any of the tools listed (see link below) please bring. Don't forget your waterbottles! I'll send out an update in a few days. I'm in need of someone with a pickup truck to be at Westville on Saturday AM to get tools for Corps, and at least one other person to assist with sign-ins. Weather looks GOOD!!!!! Click here for work list. 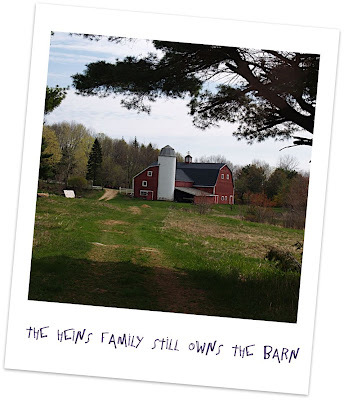 Several months ago this photo was posted, and the readers were asked if they could tell what the signs on the barn said. This morning we got an answer. 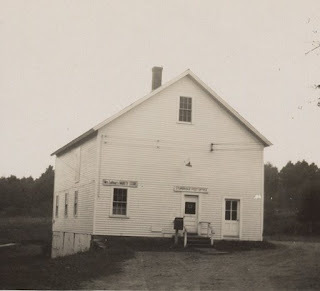 "Mrs. Lattimore's (or Lattimer's) Variety Store"
"Sturbridge Post Office" --Charlie Blanchard"
I never do this, but for some reason, maybe plain curiosity, I went to the T&G website this morning and read some comments on a few recently published articles. Do we have a facility for the Rurally Insane nearby that allows the residents internet access? Some of the comments don't even relate to the actual article. Some relate to the title of the article. Some comments are as if a toddler was given a time out and is screaming nonsense from his room in retaliation. They make no sense at all. Those that are completely off the wall seem to feed on others that equally off the wall. "Hey, it's me. I just left another comment on T&G"
"Awesome, man! I did, too. How'd you sign it?" " I used a combination of two real names!!" "That is so cool What was the article about? What did you write?" "Dunno, something about landfill. I just wrote about those SOS'ers and RATS again. It was so cool." Then there were the comments that were left just for someone to take up bandwidth, like the posting of Mass General Laws. Hello? Posting MGL's on a newspaper comment section? They must have just become familiar with cut & paste. So, I read about fifty comments at the end of several articles. No, I didn't read the articles, I wasn't there for that. The comments were entertaining enough. It was like a newspaper version of the Cartoon Network. Judging from what I read it would be easy to assume that the people leaving the comments were all unemployed, sitting around in there underwear, sharing an IQ of 65 among themselves, but I know differently. Most are very employed, well dressed, and well educated people, and leaving comments at a newspaper comment section is like their idea of attending a rave. So exciting. Comments left after reading an article are great. If they pertain to the articles content, they can offer additional insight. When they are written as if the writer had just sucked down a bottle of Robitussin then they are purely entertainment. It was well worth the trip to T&G this morning. The smiles I got will last me the day. "Fear, Uncertainty and Doubt. Also known as scare tactics, either accomplished by threat or making the opponent doubt his standpoint. Not only used in lawsuits, but also in politics and military propaganda. The company's FUD spreading caused many supporters to abandon their cause, except for the few that could see through its scaremongering propaganda." For those of you that frequent this site you may have noticed an addition to the site. In the left margin is now a section entitled "Other Voices". If you click on the blog titles you will be taken to that page. Why the heck would this blog advertise other blogs? For the same reason some folks buy a copy of The Boston Globe and a Herald, to gather as much information as possible, and to see how different outlets treat the very same subject differently is one reason. But, most of all to share the difference in styles, and what another writer considers important, and to learn. The more we know, the stronger we are. Obviously, you can judge a writer not just by his style of writing, his use of grammar, but by his voice, and what subject they decide to write about. This is important. It is the voice that we hear when reading a writer that tells us who they are as a person. Once we establish that, we can decide just how to take what they have written. This blog, and the others have little in common with each other, so comparisons can't be made, but what we all have in common is a love for the area in which we live, and our ability to write about it, and our desire to share our thoughts. 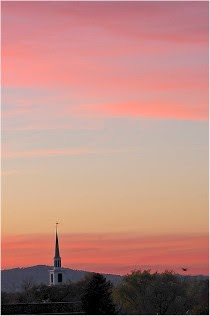 If I can recommend a blog worth reading, click on "Southbridge and Beyond". You won't be disappointed in the subject matter, or the writing. Oh, so what's with the photo of the mouse. 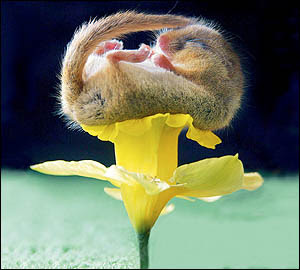 Well, it's a Dormouse. Remember what he said? One of the simplest ways to show those driving through town that we care about just how our town looks is how signs are displayed. Touchy subject, I know, but think about it. If you were shopping for a doctor, and he chose to hang his shingle on a posterboard with his name and specialty in Magic Marker you may not choose him as your PCP. Businesses invest a good amount in their signs, and at the time they are usually designed they have themselves in mind, not the community. 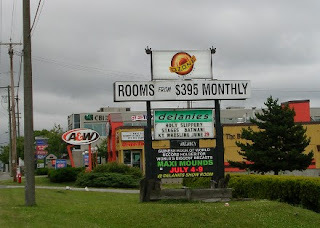 After all, they want a sign that will attract the passerby to their establishment, and that's what their sign is designed to do. Unfortunately, there are many businesses in a town, all with different needs, and ways of thinking. The result can be one ugly mess. I think we have the start of one here in town. Now, before you start getting all in a huff, hear me out first. First of all, think of the last time you visited a town that had a pleasant, well thought out down town. Maybe, an historic town like Concord, or Deerfield. Now think about how that town presented itself to you. The "curb appeal" of the town. I am sure there were many businesses in the town. Think about how the Main Street looked. Was it a jumble of signs of different shapes , materials, colors, heights? Were some reminiscent of the 1960's and still advertising "Color TV"? Were some plastic and lit from within, and others carved wooden signs lit from below or above? Did they fit architecture of the buildings? Were some advertising businesses long gone? Or, did they blend with the area, compliment the environment, current in design, and still manage to be effective advertising? One of the ways to tell if someone doesn't care about themselves is the way they present themselves. Same holds true for a business, or a community. There are several standout signs here in town. They leave a great impression, and the businesses they are in front of take great pride in how they "present" themselves. Susan's Secret Garden on Main Street in Fiskdale is one such place. The building stands out and represents the business owner in a wonderful light. The shopper sees the pride taken by the owner. Another place is the Brier Patch, also on Main Street. Both signs are well thought out, and compliment the area nicely. There are the ugly signs in town, too. We all see them, so there is no sense in mentioning them here, but they don't do a thing for the "curb appeal" for the businesses they represent, never mind the town. There's even a tall old motel sign on Main Street in front of a closed driveway to the old motel. Why? So, what's my point? Just as we dress up ourselves in order to make a good impression, we should encourage the same when dressing up the town. Do we need more by laws with specifics for signage? Don't know. Maybe just a few businesses setting an example, then another, and another. Change by example. It works. 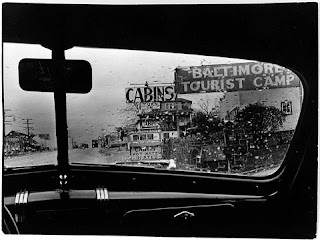 LOWER PHOTO: Not Sturbridge, but could be. I was sent the following as a comment to a recent posting. Obviously, the person who wrote it has done some research, and is pretty savy about "Smart Growth"--something I am not, but would like to know more about. I chose to share it here since I believe there are others out there as curious as me.--ed. Where Is “Smart Growth” in Sturbridge? There has been a lot said and written about the Sturbridge sewer expansion project, by members of the business community, various boards and committees, and residents as well, as to how Selectmen have “ignored the experts”. How about we step back and look at both sides? First the “experts”: the experts are the engineering firm of Tighe & Bond, who were hired by the town to design a sewer plant that will increase and handle sewer capacity and flows. Rumor has it the “experts” have recommended a 1.25 mgd plant. The “experts” have indeed done their jobs within that scope of their engineering professionalism – but that’s as far as their expertise goes; that’s all they’re being paid to do and it’s only one part of many parts that make up a “community”. Now, the Selectmen as sewer commissioners of Sturbridge, have read the expert’s reports and recommendations for that 1.25 mgd plant, and have made their own recommendation to residents for a 1 mgd plant. The “expert” engineers have not considered the long term tax burdens to residents by such an expansion, nor have they considered looming property tax increases due to the Burgess School expansion, or the town hall/center school renovations. The “experts” have not considered Smart Growth techniques – that is not their job and it is not within the scope of their contract with the town. Also, the experts have not considered the current economy. It is within the scope of Selectmen’s responsibilities to look at all sides of an issue, and all aspects of the town before making decisions. They are representing and working for the residents, the “experts” are not. Selectmen had better be cautious while spending taxpayer money. They must consider all issues and how each decision they make now, will impact the town and its residents now and in the future. They use the Master Plan & Dialogue of the Future to guide their decisions. The “experts” Tighe & Bond, do not use these guiding documents. What about the “experts” who know about Smart Growth techniques? Why didn’t that entered into the picture years ago? Why haven’t the Zoning and Planning Boards in Sturbridge implemented such techniques? Many communities and cities across the country have done so with great success. Finance Committee talks about implementing Smart Growth in their Annual Town Meeting report, but there are few if any worthwhile recommendations. They support a 1.3 mgd plant, which is larger than that recommended by the “experts”. Some residents have circulated a petition driven by the group “Growing Business in Sturbridge”, which will ask residents at town meeting to support a 1.5 mgd plant. That is the high end of the capacity which is NOT recommended by the “experts”. Their focus is on business only, it seems. Sturbridge is not alone when facing trials and tribulations with regard to its existing condition, necessary growth, and impacts from that growth on its current residents and future generations. Taxpayers have a personal stake in the outcome of upcoming warrant articles at town meeting because they will be paying for improvements from which future generations will benefit. Therefore, the whole of Sturbridge should make a commitment to growing in a sustainable manner by implementing and using Smart Growth techniques. It’s not just about sewer, it’s about a whole host of issues, which includes using techniques such as: redevelopment (revitalization); “fix it first” (use and improve infrastructure); concentrate development (compact, walkable, mixed-use developments); foster sustainable businesses (natural resource based businesses that use sustainable practices in energy production and use, agriculture, forestry, fisheries, recreation and tourism); be fair (promote equitable sharing of the benefits and burdens of development); and lastly, plan regionally but implement locally. We should focus on land use and infrastructure impacts in the areas that have sewer, and those that are potentially receiving sewer connections. Sewer expansion will dramatically affect development patterns in Sturbridge. In the 1950’s, we learned that where highways went, sprawl followed. And that sprawled development gave us traffic jams and smog, too many cars, too much lost land, and central cities beset by social and fiscal troubles. Where sewer goes, development will follow, some of it far from existing public infrastructure. If infrastructure planning takes place without thoughtful planning, then in five or ten years, the town will be asked to pay for all the additional infrastructure needed to support new development spurred by that sewer infrastructure – wider and longer roads, public transit, more sewer system expansion, more expensive school expansions – all with taxpayer dollars. Meanwhile, the development spurred by unconsidered sewer expansion will place stresses on open space, view-sheds, and wildlife habitat and water quality in the receiving sewer-sheds. Expanding commercial and industrial development certainly costs a town less than residential development, but with commercial and industrial development follows residential growth – it’s a natural progression. 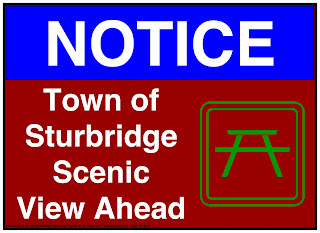 Immediately, Sturbridge should consider land use planning and zoning which would channel development close to existing centers and other existing major infrastructure, such as roads and sewer; it is already allowing multifamily housing, which uses less water per capita than single family homes; it should favor “low impact development”, and concentrate on revitalization of town centers, use of vacant lots, and reuse of existing buildings. Change isn’t going to happen overnight, and the current state of Sturbridge didn’t happen overnight. It is the result of tens of years overlooking the towns’ cycles of growth, expansion and decline. But it is a cycle, and now is the time to be proactive, not reactive. The town has taken a great first step by forming an Economic Development Committee. Can a group of persons be designated to reach out to, and work with business owners and landowners to discuss their plans for their properties? Can the town create a “wish list” so that when channeling such development to the downtown area, a case by case review is conducted to ensure it meshes with the towns goals, and also to meet the needs of business owners? Is a municipal partnership a possibility? Can the EDC consider designating an area, for example, consisting of all of Route 131 from the Southbridge town line to the Brimfield town line on Route 20? Can the EDC then break down that area into sections for review and consideration by zoning and planning officials? Within the context of that Designated Area and specific sections, can zoning changes be applied on a case by case basis? If any of this is possible - and it has been done before with the state of Maryland being the most outstanding example of Smart Growth - what are Sturbridge officials waiting for? Why isn't Sturbridge's Zoning & Planning Boards doing this? Smart Growth is NOT just an Urban Planning Tool. The Commonwealth of Massachusetts provides Commonwealth Capital guidelines for municipalities, and in fact, Governor Deval Patrick sent a letter to all municipalities in 2007 which encourages municipalities to promote livable communities, amend zoning and issue permits for mixed uses, promotes zoning for compact development which encourages INLAW apartments, clustered developments or Open Space Residential developments, zoning which encourages inclusion of affordable units - the list goes on. In addition to my letter, I would like to provide the following information for readers, in case they would like to learn more about Smart Growth, and the Smart Growth Technical Assistance which is available from the Commonwealth of Massachusetts. In July 2007, Governor Deval Patrick mailed letters to all municipalities encouraging to take advantage of Smart Growth measures in fiscal 2008, and to apply for Smart Growth Assistance. If Smart Growth was only intended for urban areas, then every town in the Commonwealth would not be invited to participate. The fact of the matter is: this information is available, the assistance is available, grants are available - yet, there is no movement from Zoning and Planning to institute these Smart Growth measures. And it's exacerbated by the negative stance of many in town government, such as "it'll go down in flames". The following are links for sites that either agree with, or oppose the Smart Growth Concept. --ed. Last evening we were watching Chronicle on WCVB. They had one of their "Main Streets & Back Roads" segments airing and it was great. Chronicle spotlighted Brandon, Vermont. Until recently, Brandon had been going through much of what has been affecting Sturbridge over the past few years. Shops closing up, stores remaining empty, and the down town area becoming a bit derelict. The tourists were going elsewhere, too. Then something amazing happened. People began to work together. It started with a bit of whimsy, a pig parade. Three foot tall fiberglass pigs were made and individuals worked on artistically painting them in all sorts of ways, and then they were pulled down Main Street in a large parade. This bit of whimsy has become an annual event, and this year the pigs have been replaced by dogs and cats. The event spurred a lot of brainstorming, and even better, action. A local architectural designer lent her skills to help redesign store fronts and areas the Main Street including a small park with stone walls, brick walkways and a wonderful gazebo. 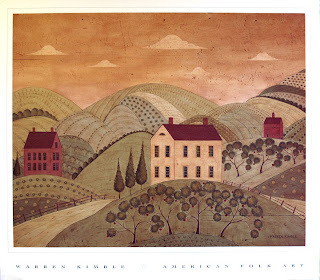 One of the towns eminent residents, Warren Kimble, opened a gallery downtown, and soon other artists followed. Walking tours of the town that was first settled in the 1660's began, and the over 260 houses on the National Register of Historic Places became a magnet for tourists. Everyone was involved. From the town officials, the Chamber of Commerce, local businesses, small clubs, to individuals, everyone was set on achieving one goal: to make Brandon better, and to bring it back to life. They have attracted artists from all over. The former executive chef of the Four Seasons in Boston packed up and moved to Brandon to open a new restaurant. Each new addition attracted more attention, and more business. This past year, during a period of brainstorming, they thought of a very unique way to embed themselves even further on the map. They gave away a wedding. Local businesses, caterers, florists, wedding dress shops, photographers, musicians, engravers all gave away a bit of themselves in order for Brandon to give away a free wedding to some deserving couple. An essay was required to enter, and the best one was chosen by the committee. The winners were awarded a grand wedding worth $40,000.00. What this event did for local business is amazing. What is even more incredible is that the town decided something had to be done, and they threw their ideas onto the table, and acted. They didn't just sit around and debate, or write about the changes that needed to occur, they went to work. The result is a town that is far different than it was a few years ago, and all because some folks up north saw a need, and took it upon themselves to make the changes happen. Recently I was asked if I would be interested in placing a couple of election signs on my front yard. I declined. Why? Well, the reason is simple: I want to remain neutral in this personality contest. There is enough opinion out there in the newspapers and elsewhere about the candidates, and their positions. There have been several interviews written in which the candidates spoke their minds as to where they stand. Quite frankly, there is nothing else to add. 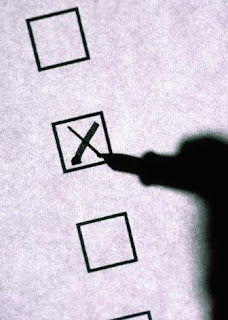 The voter can read the interviews, talk to friends and neighbors, and get a good sense of who to vote for. An endorsement from someone writing an essentially non-political blog will do nothing to help the individual, and the same with any statement of non-endorsement. Keep in mind, an endorsement, or non-endorsement of a candidate has to come from a source that is held in high regard. I'm not there yet. Now, don't misunderstand me, it is not that I am not interested. I am, very much so, but my opinion in the grand scheme of things does not matter a bit. I have a great deal of self esteem, but am not so overly "all-about-me" that I feel I should force feed my opinion on this election down an others throat. Give us the facts, tell us where you stand, and what your plans are if elected to office, and we'll do the rest based on your past history in office, or involvement in the community. We don't need to be led to the polls by others with issues. We can speak, and vote very well for ourselves. Now, that being said, I want to make clear that although I may not be offering an endorsement for anyone particular candidate, since it is out of my realm, one thing that is still within my skills, and desire is to continue to write about my thoughts, that's a given. Sometimes those thoughts are about dreams I have to make our place better, prettier, or more functional. Then there are those thoughts about our history, and the people that brought us to where we are today, and are going to bring us into our future. No, there is no need for me to endorse anyone at this point, the candidates are all honorable people, and obviously care a great deal about the town they wish to represent. I'll wait, and watch how the those elected to office perform, and then I may offer an opinion or two as time goes on. One more thing. If those that are elected show up to the first board meeting in a Clown Car, then all bets are off.